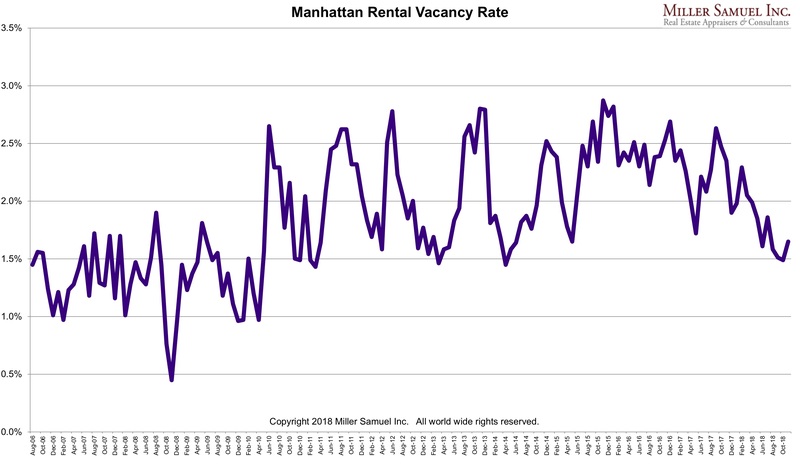 Since housing market trends are all about seasonality, I thought it was interesting that the Manhattan residential vacancy rate seems devoid of such patterns. No one will argue that a $70 million penthouse can be special. But when a penthouse has many open houses and sits on the market for more than a year, it seems reasonable to wonder about pricing. 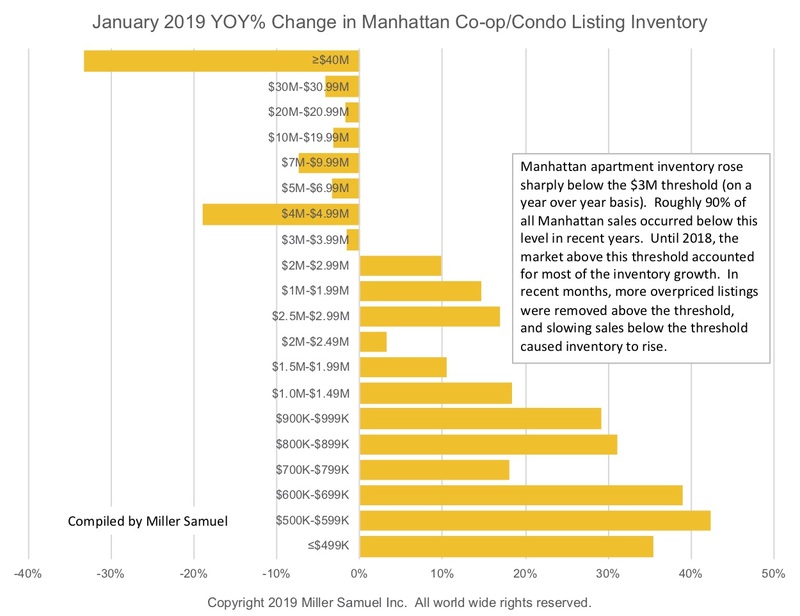 Samantha Sharf at Forbes presented a great video that juxtaposes the amenities of the apartment with my perspective on the state of the super luxury market and the next possible housing cycle in front of us. When they filmed this in Bryant Park, there were many people standing and watching off camera which was kinda fun despite my serious slouching. Well here’s a first for me. 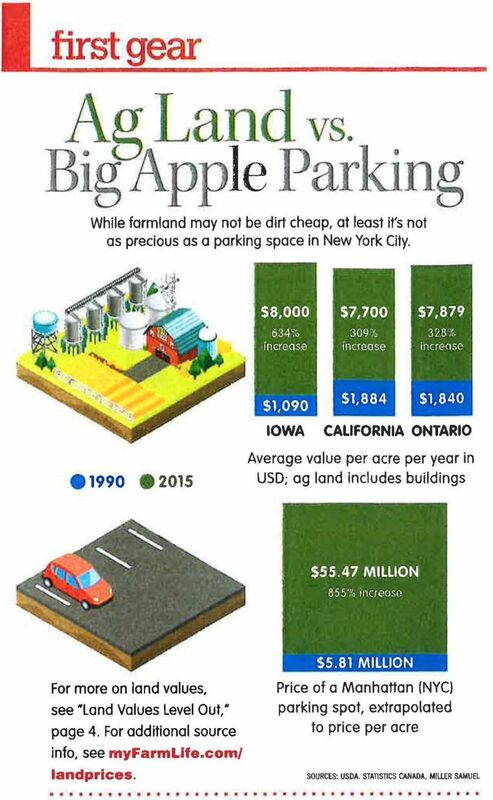 Our Manhattan parking stats were compared with the average value per acre of agricultural land in FarmLife magazine. 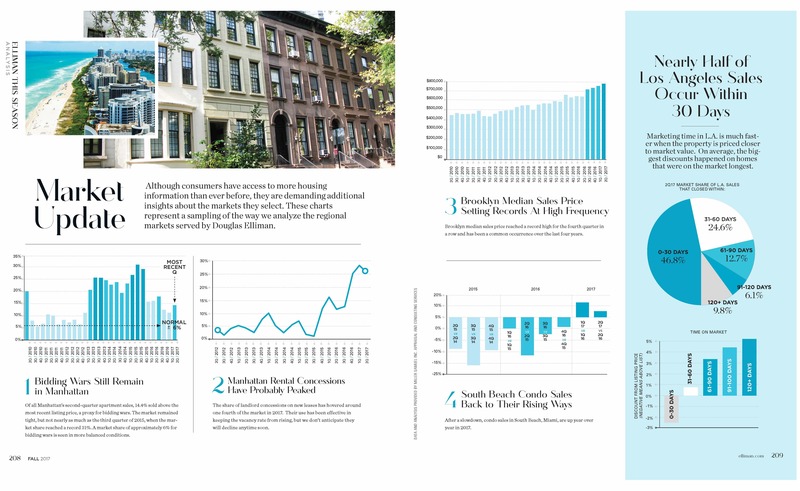 In 25 years, the cost of an acre of agriculture farmland rose 309% while a Manhattan parking space rose 855% over the same period. Cost? 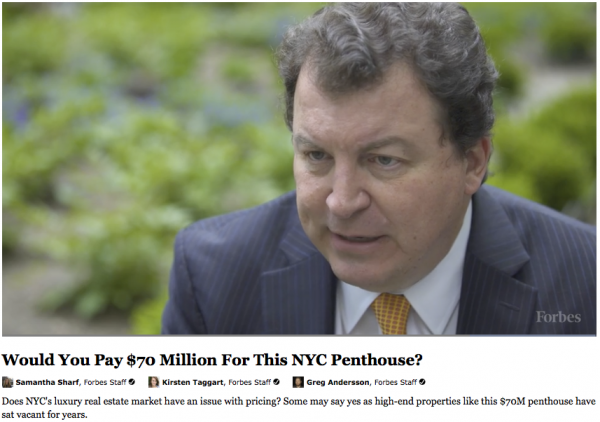 $7,700 per acre for California agricultural land versus $55.5 million per acre for a Manhattan parking spot. UPDATE A colleague pointed out that we don’t know how large the average farmland was or whether it had reasonable access to water and electricity. I pointed out that Manhattan parking spaces don’t have electric and water service and seem to be about 100 feet from the elevator. LOL. Even though housing market talking heads are known for dramatizing the long term economic impact of a big snow storm, it’s basically a “snow ball’s chance in hell” that it has a lasting effect. Given that it is early March and it is 54 degrees outside in NYC as I write this, it’s hard to think about snowstorms. However Mother Nature has a way of messing with us so I’m optimistic that we’ll get socked with at least one more big storm this month. there is no evidence that major snow storms disrupt the economy more than a few days. 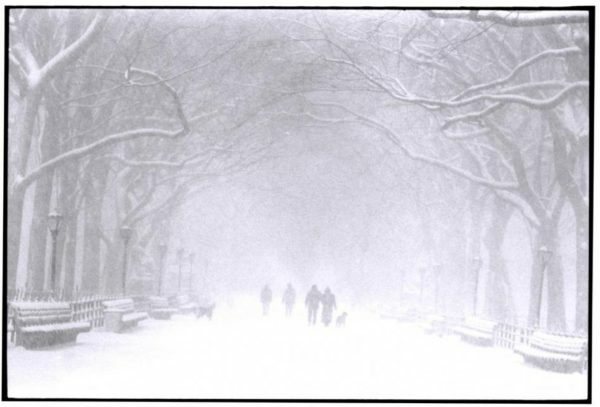 In fact, the odds of repeating NYC’s snowstorm history is 0.2% or 500 to 1. 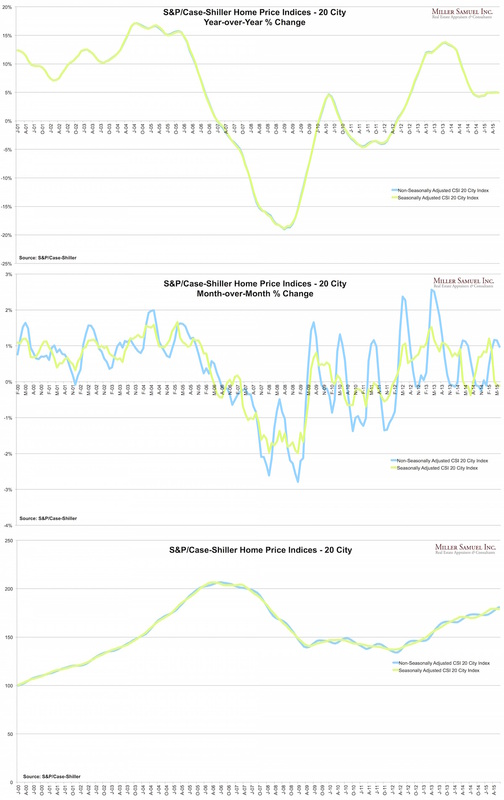 This is why I go crazy at the beginning of every calendar year listening to housing prognosticators fret about severe winter weather having a far reaching long term impact on the housing market and the economy. Husband: Hi honey, ready to go look for houses this weekend? Wife: Yes, I can’t wait! We’ve been saving up for a long time and we are finally at the point where we can buy! Husband: Ugh, this snowstorm is really bad. We’d better cancel our appointment with the real estate agent to view homes. Wife: Yes, that’s a good idea. This is so frustrating! Husband: I know! Now we have to wait another year! Wife: I just can’t believe it. Just when we were ready to buy, a snowstorm hits and now we have to wait another year! Of course you can see how ridiculous this scenario is despite my John Grisham/Stephen King – like story telling skills. 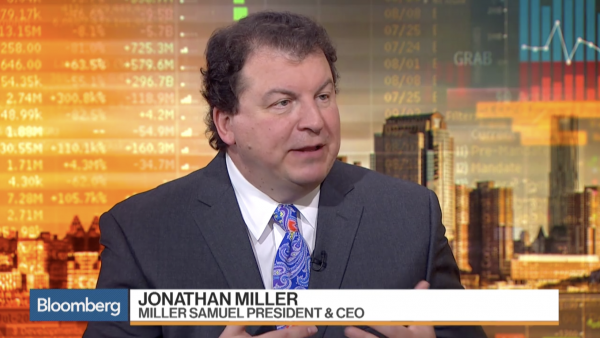 These buyers will simply wait until the following weekend. Thoughts The co-op and condo market absorption rates for the $10 million+ market have slowed over the past year while the pace of the sub-$3 million remains extremely brisk. The $3 million to $10 million shows limited change and some stabilization. I started this analysis in August 2009 so I am able to show side-by side year-over-year comparisons. (I got tired of the red/gray look in 2014 so I changed it) The blue/red line shows the 10-year quarterly average for context. 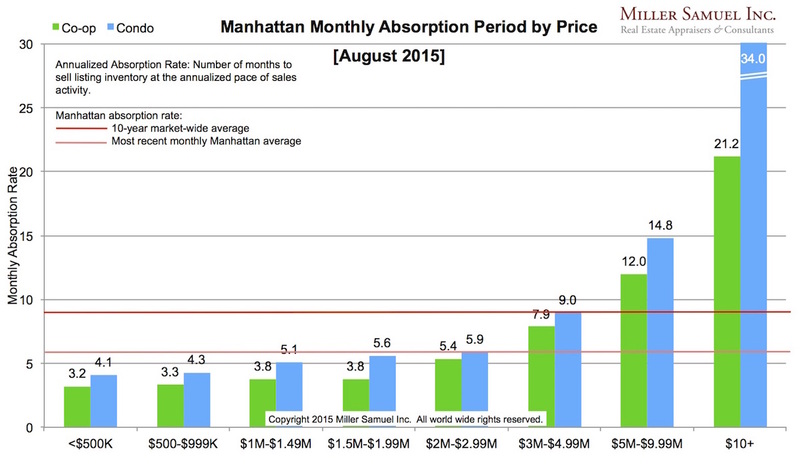 The pink/orange line represents the overall average absorption rate of the most recently completed month for that market area. 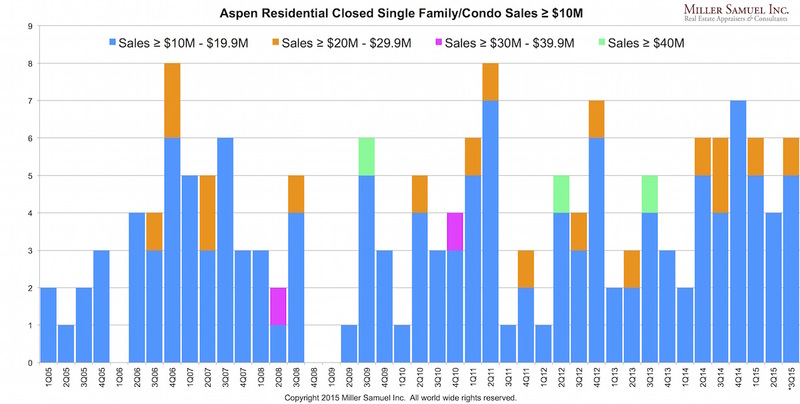 Definition Absorption defined for the purposes of this chart is: Number of months to sell all listing inventory at the current annualized pace of sales activity in our market report series. 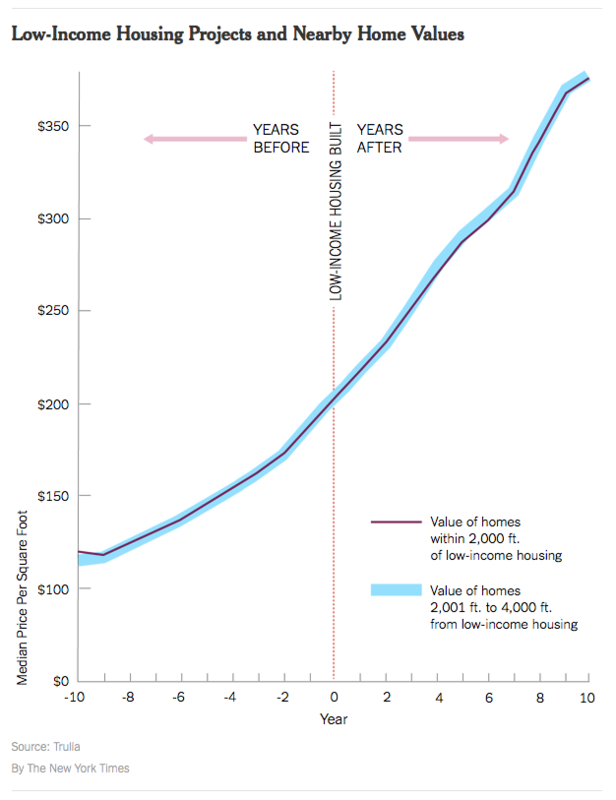 It’s time to share my Three Cents Worth (3CW) on Curbed Ski. Whether I’m on the trail, on the lift or in the lodge, I’m always taking notes with my gloves off.